Thank you for tuning in to the “Margin Call” podcast series hosted by GoMarkets. Complete the form below and stand to win a copy of Vee’s recommended trading book – “The Next Perfect Trade”, autographed by author, Alex Gurevich, as well as prizes worth up to US$300! As a child, who did Vee want to be? Any other feedback or questions you would like to ask? *I would like to be mailed the autographed book should I be selected as a winning entry. I would like to be placed on the mailing list. 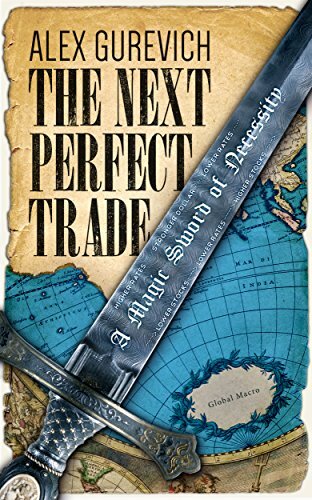 ‘The Next Perfect Trade’ articulates a set of principles that can be applied in discovering superior trades; those that will be profitable in the broadest range of economic scenarios. The book shifts focus from forces that drive markets to forces that drive successful trades. The robust performance of this approach has inspired the subtitle ‘A Magic Sword of Necessity’.